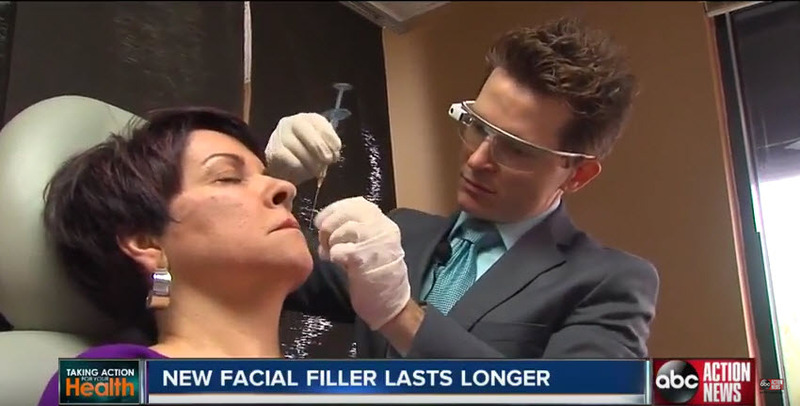 Dr. Castellano was recently featured on ABC Action News to talk about the latest facial filler to hit the market, Voluma. Juvèderm Voluma™ XC, or Voluma for short, is the first and only filler approved by the FDA. This fast-acting filler gets immediate results and promises to be a very useful tool in helping people rejuvenate their appearance. 1) It lasts two years. Voluma is used to correct age-related volume loss to the cheeks and central area of the face. Voluma is a smooth, hyaluronic acid gel designed specifically to restore volume to these areas of the face. Hyaluronic acid is a common component to the second layer of the skin, and it helps provide structure to the skin. This non-invasive procedure helps treat the skin’s tone and texture, causing the skin to smooth and fill out. It lifts tissue, giving a true liquid facelift. If for some reason a patient thinks they’ve been overcorrected, then Dr. Castellano can inject a solution that dissolves Voluma right away. There is little to no downtime with treatments and results allow for immediate volume correction. Got questions about this latest facial filler? Give us a call at ImageLift Today! To learn more about this news segment, visit ABC Action News – WFTS/TV here. “I Feel Pretty, Oh So Pretty…” Facial Plastic Surgery Can Help!